This 8 1/2" x 14" menu paper with a Mediterranean theme and column design will add to the atmosphere of your Italian, Greek, or other European style restaurant! 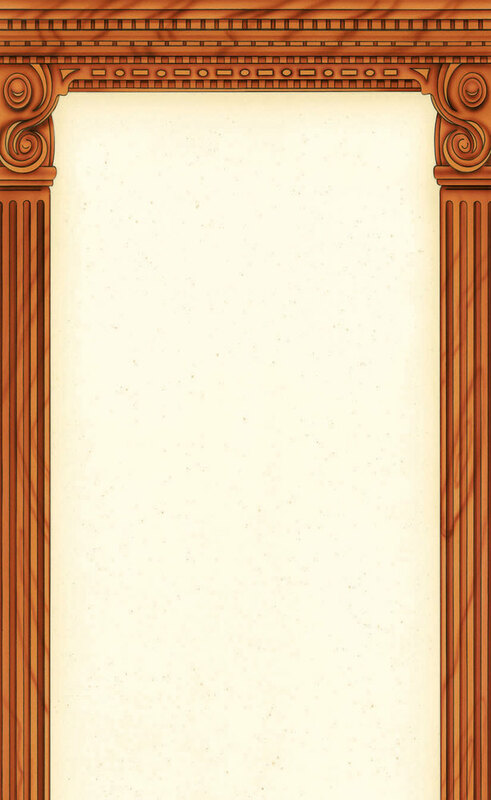 This insert features sophisticated bronze columns bordering the right, left, and top sides, while the background is white with a subtle yellow tint. It can be easily fed through any copier or printer so that you can quickly and easily print your menu!